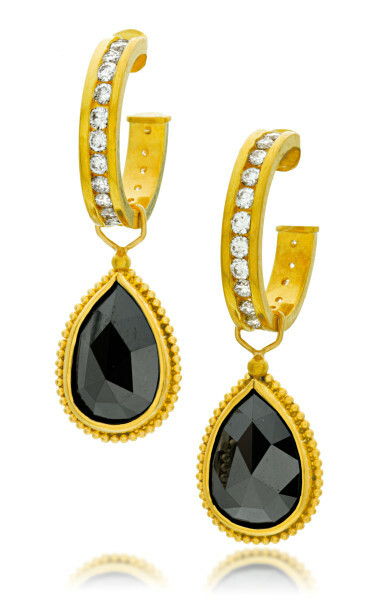 Our Floating Hoops with Black Diamond Dangles feature approximately 0.57 ctw white diamonds and 3.04 ctw black pear shaped diamonds. The dangles are removable. Different shapes and sizes available upon request.